Our Grade One students made a stuffed stocking version of the well known character “The Very Hungry Caterpillar” from the Eric Carle book. They fringed some paper to create long grass, used pink packing foam for the slice of watermelon and cup cake “patty pans” for great 3D cupcakes. 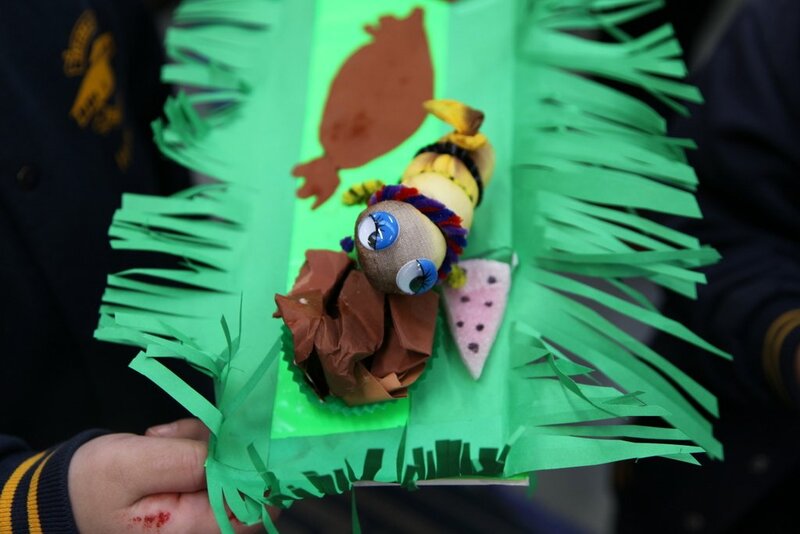 I’m sure you’ll agree that this caterpillar looks like it’s ready to enjoy such tasty treats.